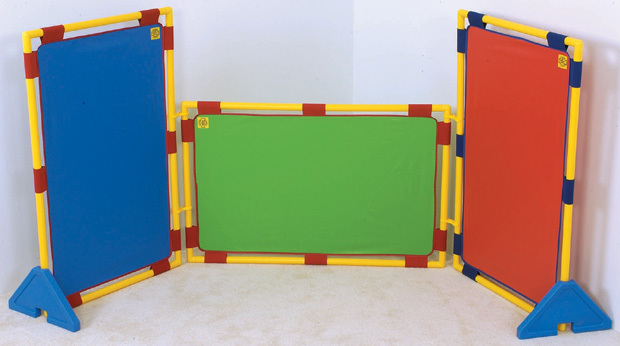 * Use these 3 rectangles horizontally or vertically to screen or separate activities. * The set comes with one pair of Cantilever Legs for stability. * Dimensions: 31" x 48"